A few months ago, Instagram lived a miracle: It was able to get Mark Zuckerberg to give them a huge $740million for a platform that was indeed #1 in its category but that didn’t actually make money. Well this is about to change with money-making Instagram ads on the way. And fortunately for filter-obsessed photographers, we know what they look like! And other than the “Sponsored” signifier in the top right-hand corner where the time stamp usually resides, the post looks like any other posting you’d see in the app. You’ll know a photo or video is an advertisement when you see the “Sponsored” label where the time stamp normally would be. Tap this label to learn more about how advertising works on Instagram. We want ads to be creative and engaging, so we’re starting with just a handful of brands that are already great members of the Instagram community. If you see an ad that doesn’t interest you, you can tap the “…” below it to hide it and provide feedback about what you didn’t like. This will help us show you more interesting ads in the future. Our focus with every product we build is to make Instagram a place where people come to connect and be inspired. Building Instagram as a business will help us better serve the global—and ever growing—Instagram community, while maintaining the simplicity you know and love. 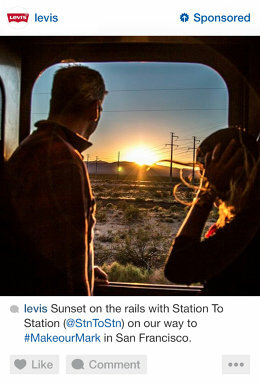 Instagram assured users that they still own their photos and that won’t change. Much like Facebook, Instagram users can provide feedback to the site about ads they don’t like or that are irrelevant. And Instagram being very popular about teenagers and younger users, this sure seems like a money making move. So how do you feel about Instagram ads now?